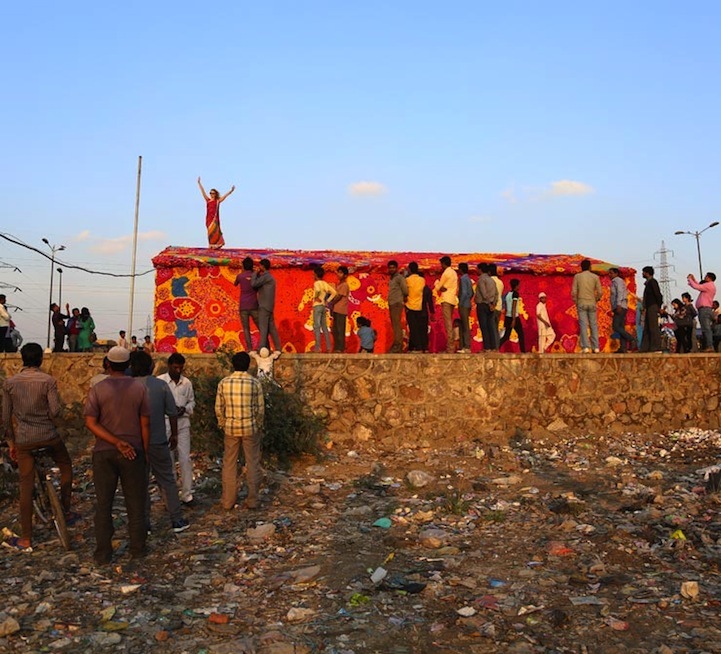 Olek (birthday April 4), the crochet graffiti artist, standing on top of homeless shelter she has just decorated — with lots of help — in Delhi. What an Aries adventure! For more on this click here. I am off on holiday for a few days, so unable to respond to correspondence. Meanwhile enjoy these seasonal posts from the archives of The Oxford Astrologer. Christina – the links aren’t working! Anyway, have a lovely holiday! Thank you. I’ll try and fix them. They should be good now.